Some of AUT’s partnership and engagement areas are listed below. 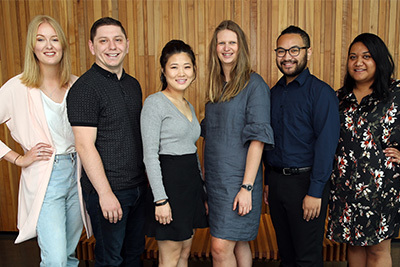 AUT and its student-led group Future Proofers are collaborating with the Adelaide Sustainability Association to link students with sustainability mentors from industry, government, not-for-profit and the start-up community. 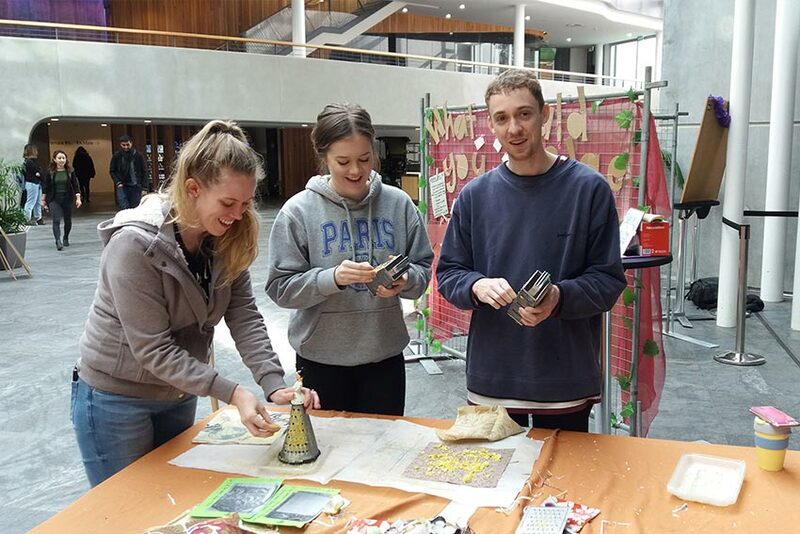 The YSL programme also involves workshops, community engagement projects and social activities to help students develop the skills, confidence and networks they need for a future in sustainability. AUT’s Business School is a signatory to the United Nations' Principles for Responsible Management Education (PRME) initiative. The PRME provides a framework for integrating corporate responsibility and sustainability into the Business School. AUT is a signatory to the industry-led NZ Tourism Sustainability Commitment whose vision is to see NZ lead the world in sustainable tourism. The Bachelor of International Tourism Management is guided by the World Tourism Organization’s Global Code of Ethics for Tourism. The School of Hospitality and Tourism is committed to promoting tourism as an instrument in achieving the Sustainable Development Goals. This underpinning clearly aligns our teaching and research to the NZ Tourism Sustainability Commitment. AUT partners with the Manukau Beautification Charitable Trust to clean up a section of the Otara Creek. Previous clean ups have included over 80 AUT staff and whānau removing rubbish from the Otara Creek. Our collaboration with industry and business is producing some great outcomes. AUT is a member of the UN Sustainable Development Solutions Network (SDSN) which is a network designed to find practical solutions for sustainable development and progress implementation of the UN’s Sustainable Development Goals. AUT is a member of ACTS, which advocates for best practice sustainability within the tertiary education sector. Our membership provides students and staff access to member only sustainability resources. AUT is a member of the Sustainable Business Network. All of AUT’s cafés (The Counter, #newsfeed, Kaife and Refuel) only sell Fairtrade certified coffee. Fairtrade certified coffee beans, instant coffee and tea is provided in AUT staff rooms. AUT’s four cafés are accredited under the Conscious Consumer programme. The cafés gained four badges in eco-packaging, BYO containers, recycling and vegetarian/vegan. EECA and AUT have a collaboration agreement in place which facilitates the development, implementation and communication of energy efficiency and renewable energy opportunities. 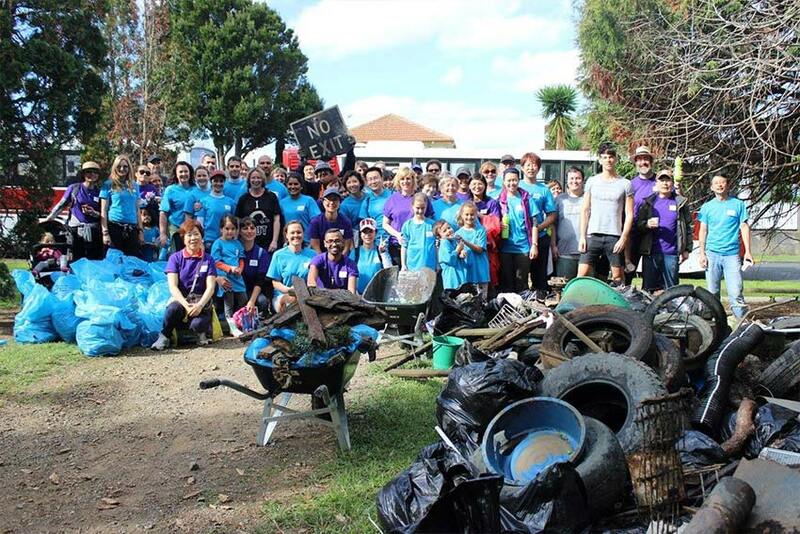 Staff and whānau take part in the AUT Big Clean Up at Otara Creek. We offer a range of sustainability papers where 100% of class hours are spent on sustainability content.